Your vehicle is fitted with an Engine Control Unit that runs the car's engine. This computer uses maps to control the cars fuel injectors, Turbo, Egrs, Ignition coils and various other actuators and sensors connected to it. 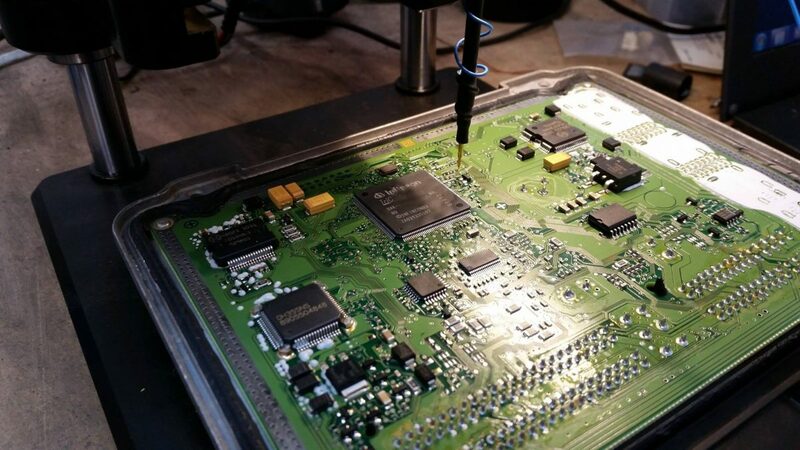 A Remap is an Optimised file that contains modified maps that we upload into the engines ECU to improve Response, Power & Torque but also the Economy as well. Manufacturers will run their engines well within power limits to ensure there are no mechanical issues due to power or torque being too much, also to lower the emissions on some of their vehicles to get into a lower road tax grouping and countries where the emissions are lower and fuel quality is lower. Some manufacturers actually offer remapping themselves as approved upgrades often called a " Sports Upgrade " or something similar at extremely high prices which is then carried out after the car is registered, so it is then classed as a modification and not impacting on the taxation class of the vehicle. With the use of ecu editing software like Winols or Swiftec, your vehicles original map file is opened and various maps like Torque limiters, fuel rail pressure, turbo pressure maps etc etc are altered to make these improvements then saved. We will always have your original file saved safely should it ever need to be written back. What can a remap do for you? Fuel consumption may improve whether you are an Economical driver or an Enthusiast! All maps are Custom to your vehicles ecu. They are insurance backed and carry a lifetime software warranty.